There is a rather unique place located about 60 km west of Ekaterinburg, the capital of the Sverdlovsk region – a huge abandoned railway tunnel named after the village of Didino, which is also almost completely abandoned at the moment. But in the past life was in full swing here. Construction of the tunnel lasted from 1914 to 1918. 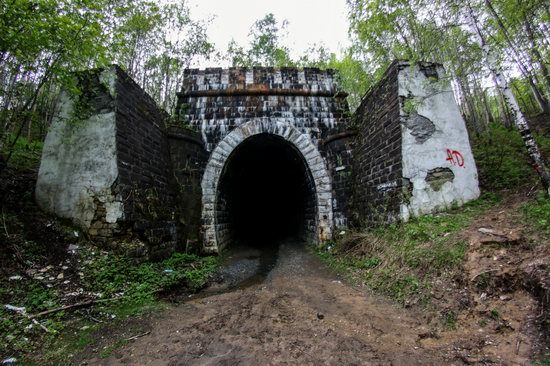 During the Civil War in Russia, this tunnel was of great strategic importance. Kolchak’s echelons passed through it retreating to Siberia, which gave rise to legends of countless treasures, which the White Command left somewhere in these places saving them from the Bolsheviks. The Didino Tunnel on Google Maps. Photos by: Dmitry Solodyankin. Khovrino Abandoned Hospital (also known as Umbrella) is a huge building located in the north of Moscow in the Khovrino District. The building area is 100 thousand square meters, the total land area – 2.4 hectares. Construction of the hospital began in 1980. However, after five years of construction, it was suspended in 1985. 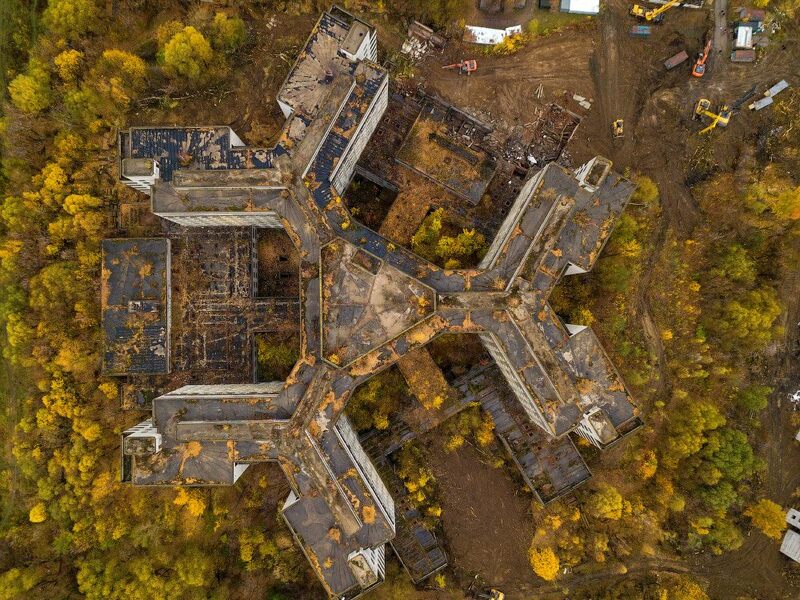 From that moment on, the hospital remained unfinished and abandoned. October 23, 2018, the demolition of the building began. Khovrino Abandoned Hospital on Google Maps. Photos by: Alexander Popov. Berezniki is the second largest city in the Perm region with a population of about 145,000 people, a large industrial center located 191 km north of Perm. The city stands on a large deposit of potassium and magnesium salts that have been mine-produced for decades. Berezniki on Google Maps. Photos by: Lana Sator. Administrative and household building in the zone of one of the sinkholes. Novotroitskoye is a small village with a population of about 150 people located in the Dolgorukovskiy district of the Lipetsk region. The main attraction of the village is the ensemble of the Church of the Holy Life-Giving Trinity built on the means of Major-General Petr Andrianovich Pozdnyakov, the owner of the village, in 1809-1819. 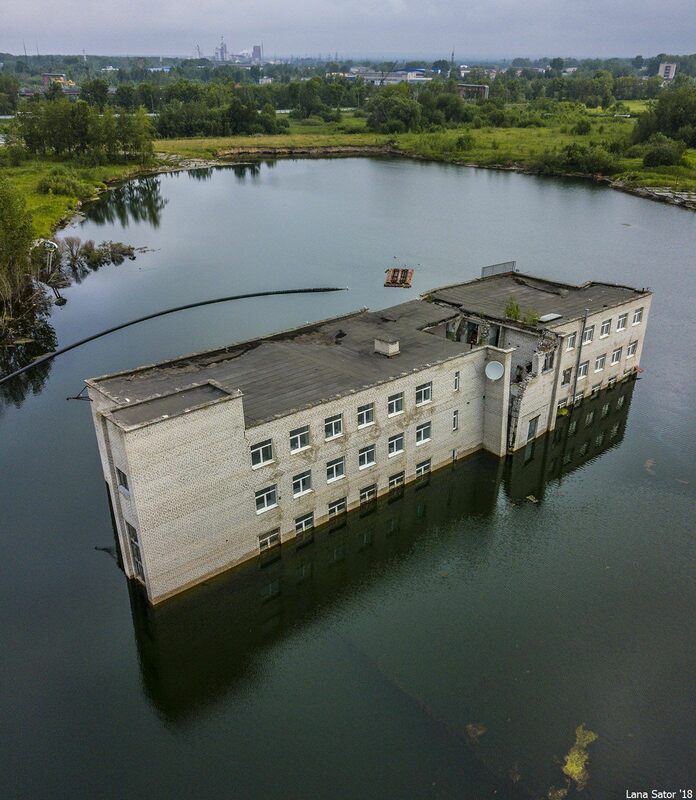 Novotroitskoye on Google Maps. Photos by: Vadim Razumov. 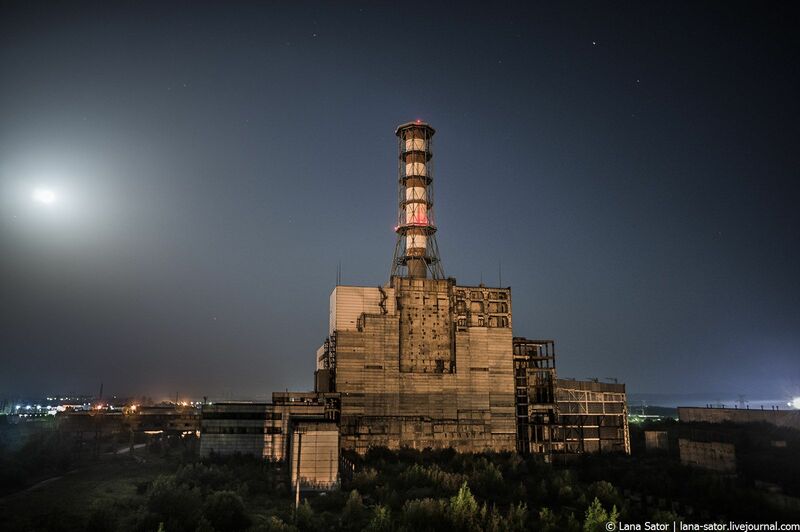 The construction of the 5th unit of the Kursk Nuclear Power Plant began in 1986. It was planned that the power unit would be put into operation in 1992. However, in 1989, the construction was frozen because the 5th power unit was designed based on the use of the RBMK reactor (the type of reactor installed at the Chernobyl Nuclear Power Plant). 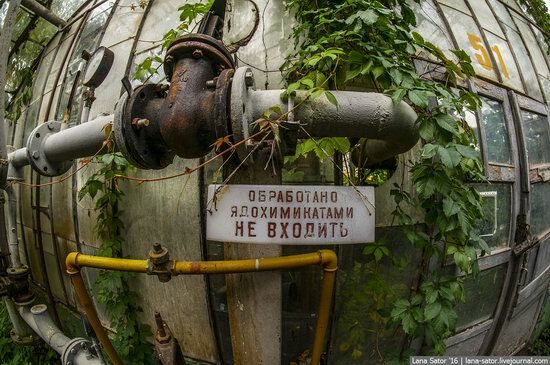 This greenhouse complex, consisting of dozens of greenhouses and located somewhere in the Moscow region, was opened in the 1960s. It was used to grow a variety of plants (annual flowers, perennial trees, shrubs) for landscaping of Moscow and several cities in the region. Several years ago, the complex stopped working and eventually became an abandoned object with a crazy atmosphere of a post-apocalyptic world. Photos by: Lana Sator. Gamsutl is a picturesque Avar village located on top of Mount Gamsutlmeer, in Gunibsky district of Dagestan. 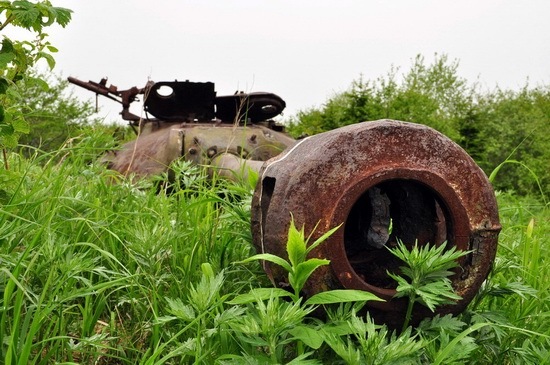 This village is one of the oldest settlements on the territory of the republic. 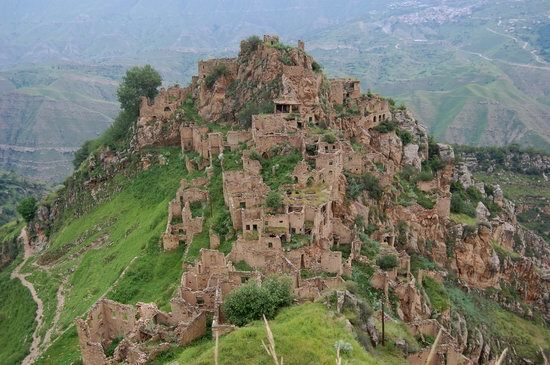 Translated from the Avar, the word “gamsutl” means “at the foot of the khan’s fortress”, from what historians have concluded that once, in ancient times, Khan chose this place to build his fortress or tower. Gamsutl on Google Maps. Photos by: Olga Stanina. The estate appeared in the late 19th century. 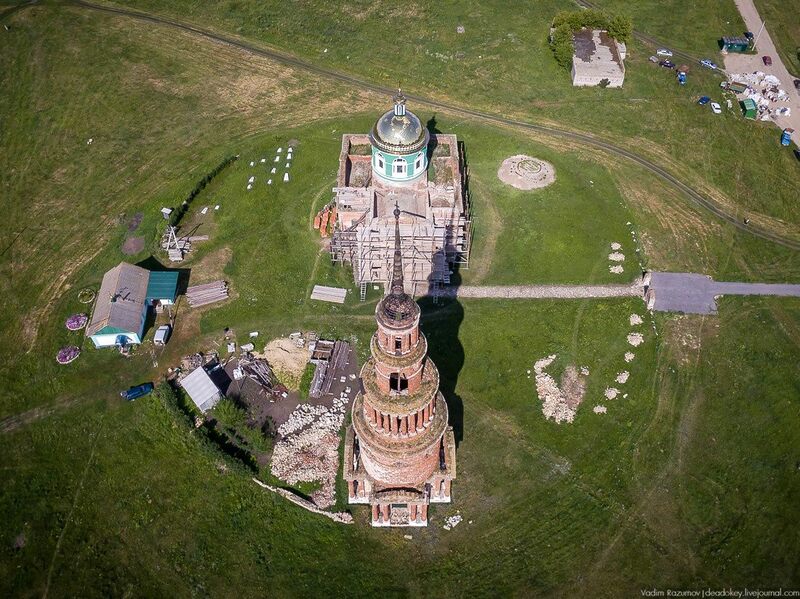 It was built for the St. Petersburg architect and artist Alexander Sergeyevich Khrenov. 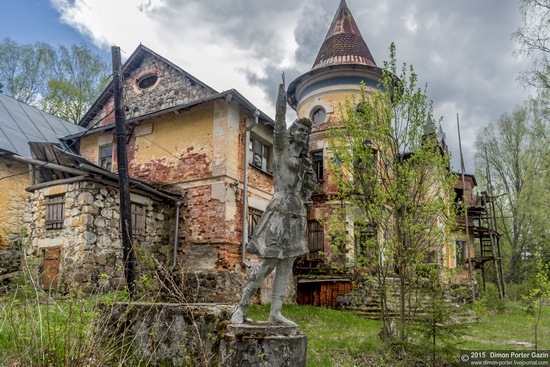 Many artists, architects and writers of that time tried to disappear in nature. Photos by: Dmitriy Gazin. Shikotan, meaning “the best place”, is the largest island of the Lesser Kuril Islands, part of the Sakhalin region. Japan disputes Russia’s ownership of Shikotan; it sees it as part of Nemuro province, Hokkaido prefecture. Until 1855, the island was part of the Russian Empire. February 7, 1855, according to the Russian-Japanese treaty of trade and boundaries (“Shimoda Treaty”), the island was given to Japan with the rest of the southern Kurils. In 1945, after Japan’s defeat in World War II, the islands were captured by the Soviet Union. In the late 1970s, after the closure of the Soviet lunar program and work on the super-heavy carrier rocket N1, the development of a new super-heavy rocket called “Energy” began. 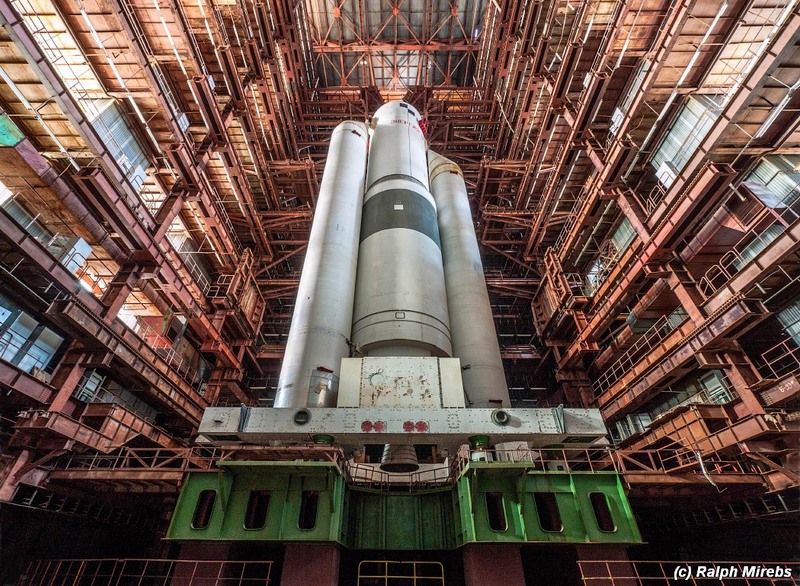 The first launch was made in 1987, and, in 1988, the rocket put into orbit the Soviet space shuttle “Buran.” Photos by: Ralph Mirebs.